Thursday, Friday, Saturday, Sunday 10:30 p.m. - 4 a.m. 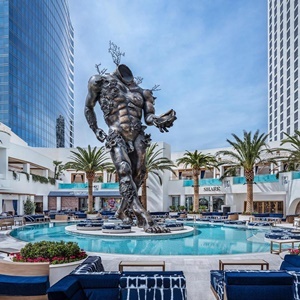 The world-famous Palms Casino Resort in Las Vegas has recently announced a newcomer to its midst. Kaos is set to be one of the city’s most popular combination day clubs and nightclubs, located directly inside the Palms. 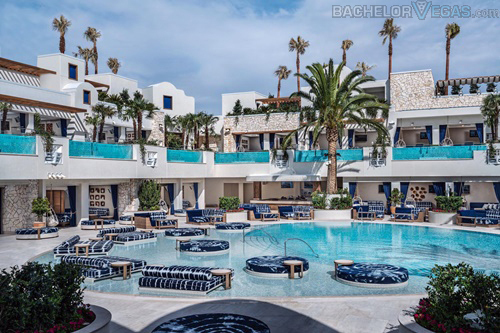 In fact, the 100,000 square foot club will be replacing the resort’s former Palms Pool and Rain Nightclub areas, giving partiers plenty of space to spread out and enjoy the lavish services and amenities. Kaos will be openings its doors the first weekend of April and you can expect to see some of the biggest names in the entertainment industry roaming the club. 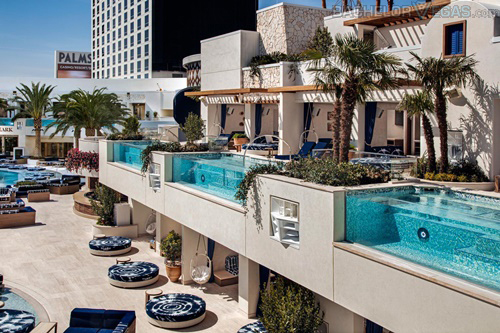 The Palms recently underwent a $690 million dollar renovation that included the creation of Kaos. 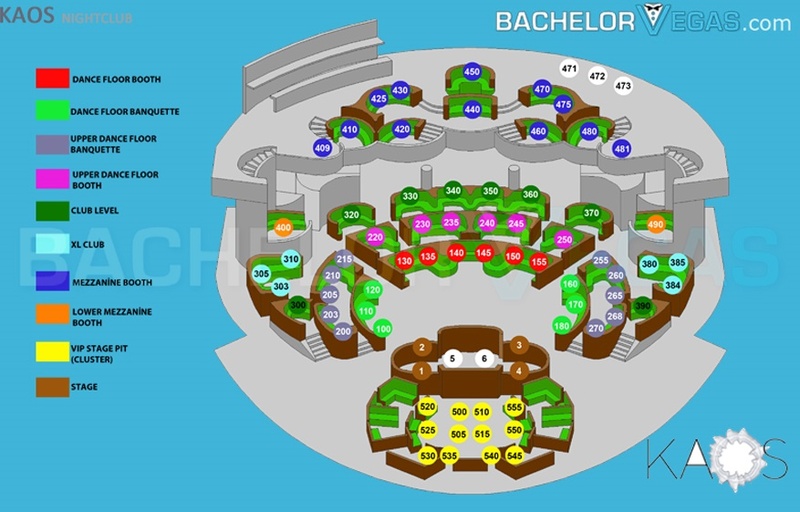 The day and night club will be spread over multiple floors including both indoor and outdoor spaces. While there are many great features to check out, some of the highlights include a 65-foot bronze sculpture of a headless demon, a DJ booth that rotates 360 degrees, the city’s largest LED wall, and an oversized glass wall-operable door that separates the outside area from the inside. With a dome that covers the entire area, Kaos is instantly a year-round destination. If you’ve already heard about Kaos, then you know that the club has an amazing lineup of residencies. Some of the biggest names to date include Cardi B, who is set to perform a number of dates this spring, as well as G-Eazy, Drake, Deadmau5, Kaskade, and DJ Khaled. Every aspect of the new club screams luxury and exclusiveness. Even the club’s new logo is highly innovative and one-of-a-kind. The Palms used technology to create the logo which includes the first-ever audio-powered living brand that captures the club’s sonic energy. Be sure to check out Kaos for yourself when it opens this spring.